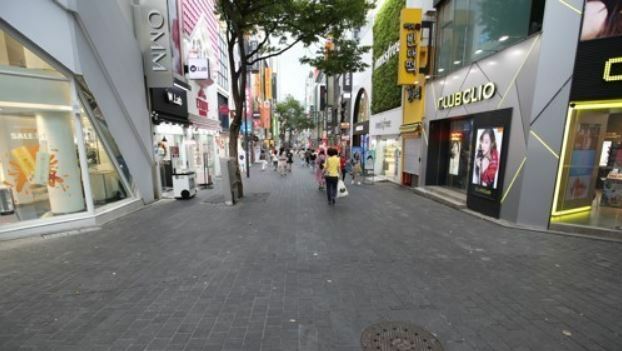 The earnings growth rate for South Korea's self-employed businesses fell to a six-year low in 2017 amid social and economic changes under way in Asia's fourth-largest market, official data showed Sunday. Profit growth by relatively small, self-employed businesses reached 1 percent last year compared with 2016, information provided by Statistics Korea showed. This is the worst showing after a 0.7 percent increase tallied in 2011. Industry watchers said the falling off of workplace-related eating and drinking, a rise in one-person households and wages for part-time workers that are employed by such businesses have all affected earnings for small shops that generally engaged in the eateries and services areas. "People are generally spending less as a whole, and, in particular, there is less eating out by households and companies than in the past," an observer said. He added that proliferation of small businesses created by retirees has further exacerbated problems, while the drop in Chinese tourists last year due to the diplomatic row between Seoul and Beijing seriously hurt profits. Chinese nationals accounted for some half of all foreign visitors in 2016, with their absence being felt last year. The statistical office said that earnings growth for such companies that reached 2.9 percent in 2013 fell to 1.9 in the following year and for the most part hovered in the 2 percent range standing at 2.3 percent in 2016. Data revealed the drop in earnings has directly hurt the country's service sector numbers, with output by restaurants contracting 3.1 percent on-year. The 2017 figure marks the sharpest drop since the country started compiling such data in 2000. In addition, food and beverage production was down 9.2 percent, again the worst drop since a 9.4 percent contraction in 2001, with local supermarkets and small neighborhood retailers all reporting weaker sales. The development is worrisome as self-employed businesses employ 5.68 million people and any serious downturn here can weigh down the overall economy. The total number hired by the sector represents 21.3 percent of all workers in the country, which is much higher than the 10 percent average for other developed economies. Yoon Chang-hyun, a finance professor at the University of Seoul, warned that the country's self-employed sector is rapidly losing its competitiveness. "What is worse is that if these people have to fold their businesses, market conditions are such that they will be hard pressed to find employment elsewhere," he said.